Just because you're dead doesn't mean you should stop caring about the Earth. If you or your loved ones want to be environmentally friendly, even in death, you have a few options and considerations: Green burials – the practice of “returning a person to the earth” by burying in a biodegradable casket, without embalming fluid or a concrete vault – is legal in all 50 states but saddled with rules and regulations governing how and where you can bury. 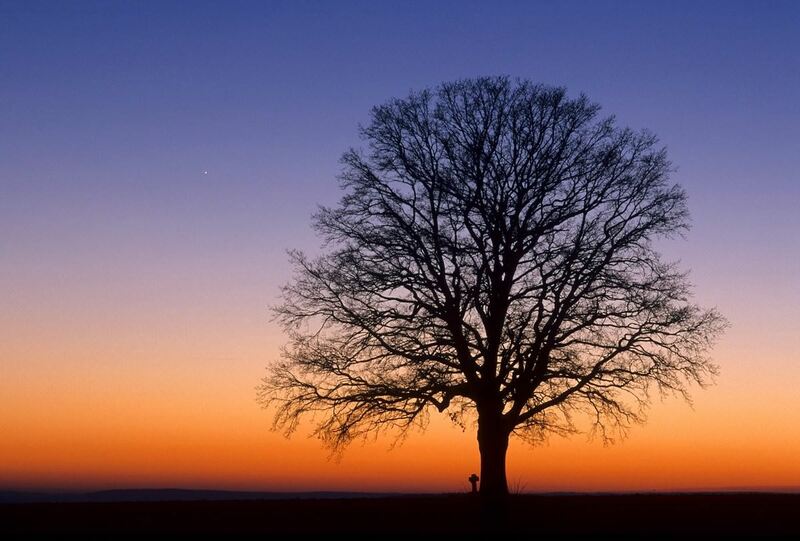 Not all cemeteries allow green burials (but you can find one near you here). And when deciding between burial versus cremation, consider the issue of dwindling cemetery space: It’s estimated that between 2024 and 2042, about 76 million Americans will reach the average life expectancy of 78 years; when they pass on, they’ll require burial space roughly the size of Las Vegas. 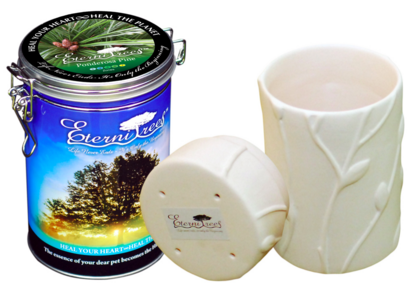 For people who choose cremation, several companies have created biodegradable urns that, when combined with specific soil mixtures, use cremains to help grow a tree. In a way, these products hark back to a time before the creation of the “traditional” burial system – when our ancestors’ remains went straight into the ground and provided sustenance for all sorts of plant life – but in a 21st century, space-saving, environmentally-friendly manner. Here are three companies that have their own particular products to help you continue the cycle of life. 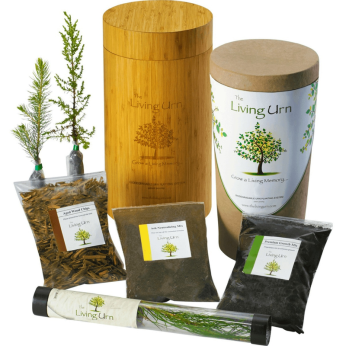 Based in Colorado, The Living Urn‘s system includes a biodegradable urn packaged in a handmade bamboo container, with a seedling, wood chips, a proprietary soil mix, and an ash-neutralizing agent that helps counteract the chemical properties of cremated remains to produce a balanced growing environment. 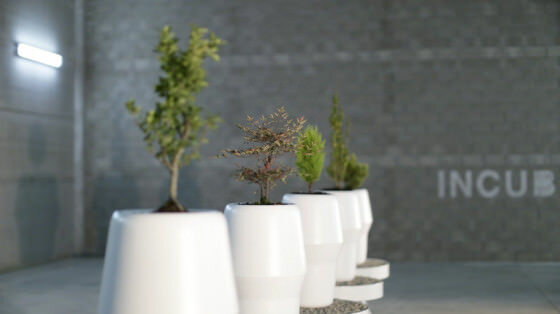 According to co-founder Mark Brewer, the company provides seedlings – with a wide range of between 15 and 20 choices of tree types based on the customer’s growing zone – instead of seeds, which helps ensure you’ll actually be able to grow the tree, as seed germination can be tricky for amateurs. What is the process? Is the urn provided to the mortician by the family, body cremated, added to urn, and handed back to family? How long is the tree seed viable before planting? Where do you plant? Anywhere? Or are there legal considerations?